Wall Mounting Cup for Compact Clock Movements is ideal for displaying clocks with large dials, hands and numerals. 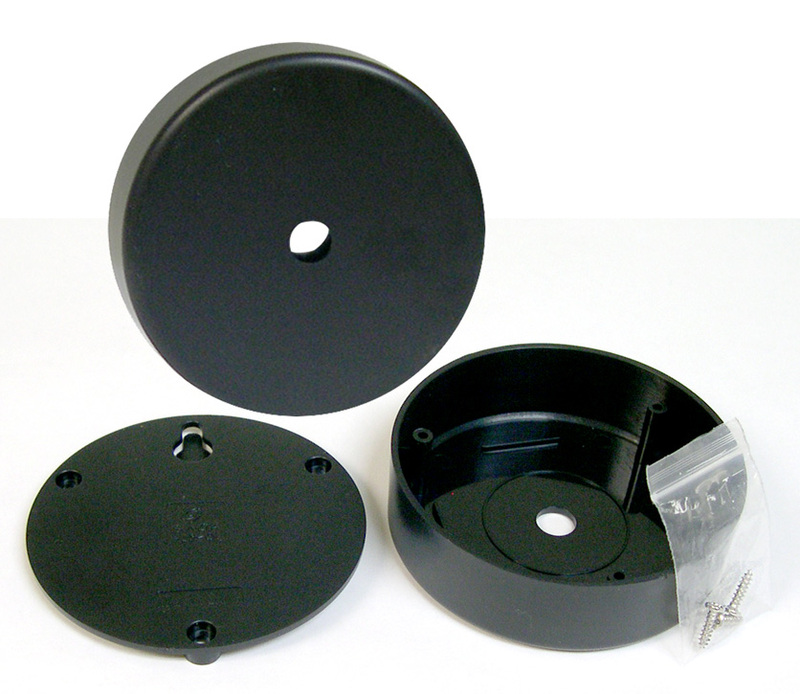 2-Piece plastic case includes screws and wall anchors. Pre-drilled mounting holes allow for side-to-side adjustment. Cover snaps easily on and off using built-in clips. Measures 3-1/2" diameter x 15/16" deeo.